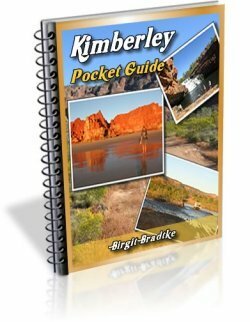 We're travelling the Kimberley late September, beginning of October and would like to visit Bungle Bungle NP. Unfortunately we only have one day for that. We're staying at Emma Gorge and we're planning getting up early driving down to the Bungles and - unfortunately - we have to drive back the same day. We're used to driving a lot, that's not the problem, and we also don't mind the heat. But - if you find time - I'd love to hear your opinion on this. We'd love to do a helicopter tour from Purnululu Airstrip. Do we have to make a reservation in advance or can we just drop in? 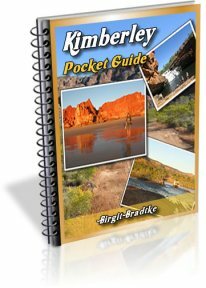 Can you suggest any other ways to visit the Bungle Bungle? Thanks for your help. We really appreciate it. Also your guide! It's fantastic! 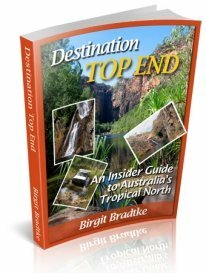 Thanks for the kind words about my guide. Much appreciated! I assume you read it in depth. My opinion is that it would be a total waste of a day. Regarding booking ahead, it can't hurt to call them ahead, though you can also ring them from the visitor centre at the entrance when you get there (also covered in the guide). That time of the year should be pretty quiet. Your other options are also detailed in my guide, together with contact details for the tour operators: You can take a helicopter flight from Warmun (I'd ring ahead). There are also several tour options via EKT that may be a possibility, eg from Warmun, or, to save you driving, from Kununurra. None of this is ideal however. Driving from Emma Gorge to Bungle Bungles and return in one day is not impossible, but not ideal. I wouldn't like to be doing it. I recently returned from a week (way too short) in the Kimberley and we drove from Kununurra to the Bungle Bungles entrance in three to three and a half hours (we did stop at the Warnum Art Gallery), then it took almost two hours to reach our camp site, due to our driver being very cautious on the windy, often narrow and rocky, corrugated road. Coming out only took one hour 20 minutes because we knew what to expect from the road. Add to that the time it takes to reach the car parks, which are several kilometres from the visitor centre and several kilometres apart, then add the time taken on the various walks, plus your return journey. It is quite an effort to get to and from the Bungle Bungles, but having said all of the above, it is absolutely worth it. We stayed at the East Kimberley Tours campsite in eco tents, with dinner and breakfast provided. It did cost us $200 a night each, but after a long day travelling and exploring it was worth every cent. 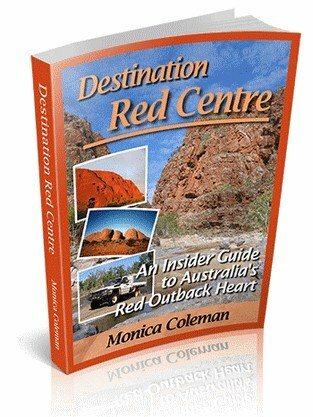 We drove from El Questro to the Bungle Bungles and back in one day just two months ago. It was a really, really long day and quite exhausting but we're thrilled we managed to fit the visit in; like you we only had a day. The drive down to the turnoff to the NP is relatively simple although we struggled on the return journey due to the burnoffs; we were driving in the dark and there was a lot of smoke in the air. But the trickiest bit is the drive through the park to the Bungle Bungles themselves. This takes 2 hours each way. I thought this was an exaggeration but it's not. The road is dire. When we arrived we went straight to the airstrip and managed to get on a 20 minute helicopter flight; FANTASTIC. Then we drove to Cathedral Gorge and wandered around there for a bit before heading back to El Questro. You'll need to leave at around 7am and you won't get back until about 7pm but if it's the only way you're going to see them you won't regret it. A verrrry long day or? On our trip to Bungles in Aug-10 we traveled from Emma Gorge to Bungles. We didn't leave early, about 9:30am and we lunched at Warmun, took 2 hours to travel Bungles road to visitor centre and then another 20 mins to East Kimberley camp. By the time we unpacked we had only a few minutes to get back to a vantage point to see sunset. Next morning gave us time to see Cathedral Gorge and Echidna Chasm before traveling on to Halls Creek. If you try and do all in one day, as others have clearly done, you'll be truly exhausted. One option not mentioned so far is to take the 2 hour flight from Kununurra which takes in Lake Argyle, all Bungle Bungles and Argyle Diamond mine - spectacular. But then you can add an extra where you land at Bungles and take a helicopter ride for the close range view. Cost a few more dollars, but you'll actually see more and be able to enjoy the next day not totally exhausted. Oh, and you mention you don't mind travelling long distances. Well long distances is what you will get in outback Oz. A short trip is 150km, a reasonable day is 600km and after that it just becomes one very, very long trip. Good luck with whatever you choose to do; just don't exhaust yourself too much to enjoy! We did the Gibb in Early Sept. My advice on the Bungles, go to Kununurra and take a plane/heli trip. Went to Emma Gorge it was great. I will post some pics here soon.